By Xah Lee. Date: 2018-09-21 . Last updated: 2018-10-04 . 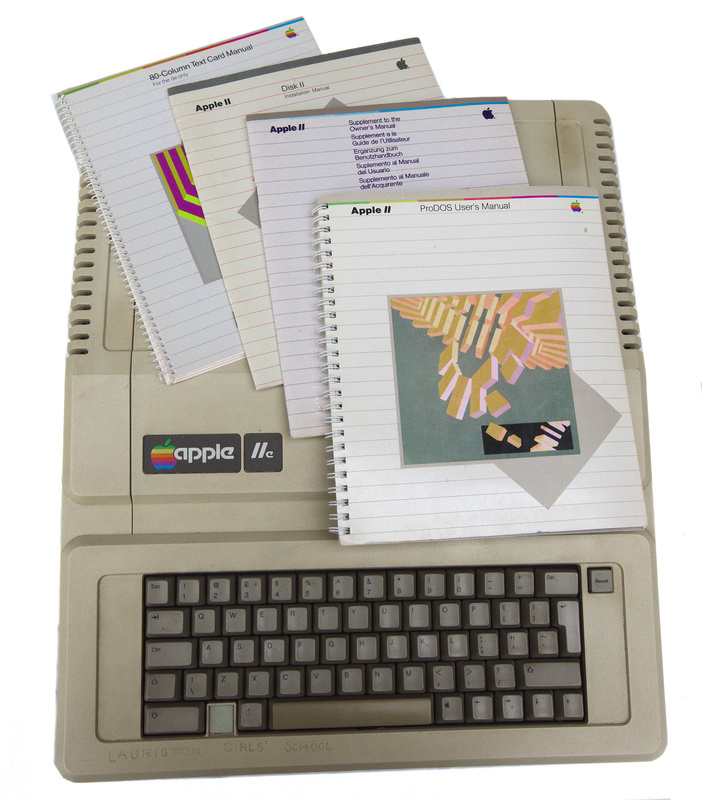 Apple IIe. Came out in 1983. 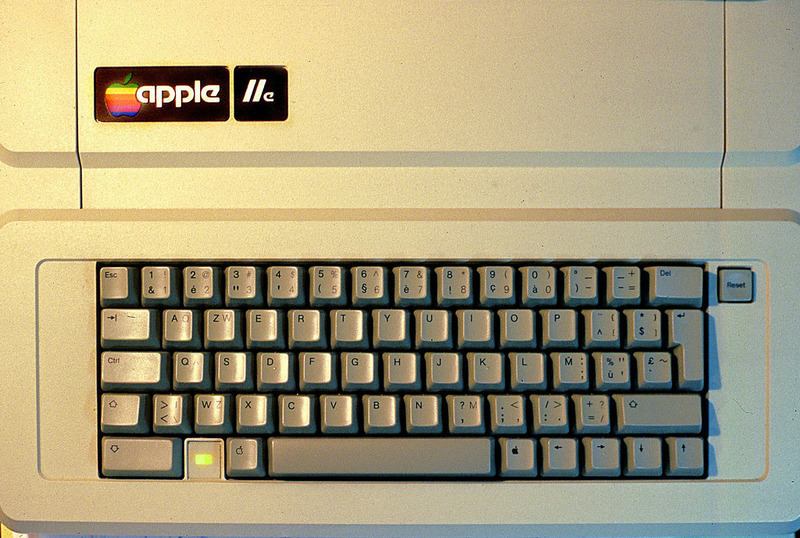 Apple IIe keyboard, AZERTY layout. Caps Lock at left corner. 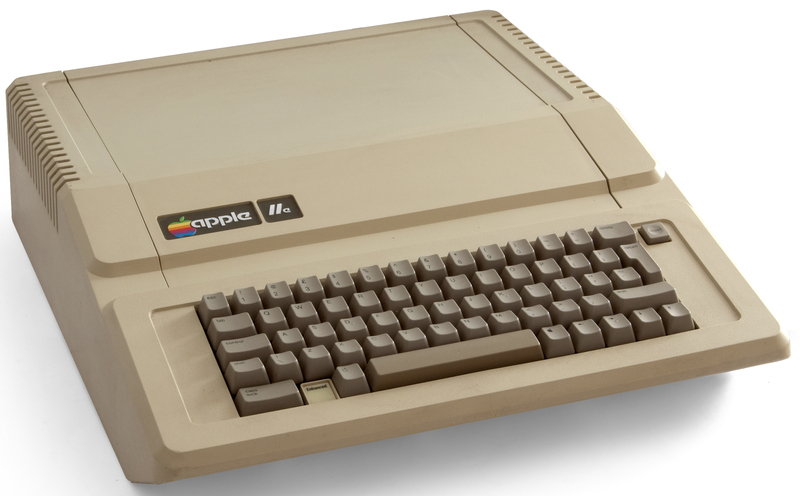 There are 2 keys with a Apple logo on it. On the left is white apple outline, on the right is a black filled apple. There is no ⌥ option key. 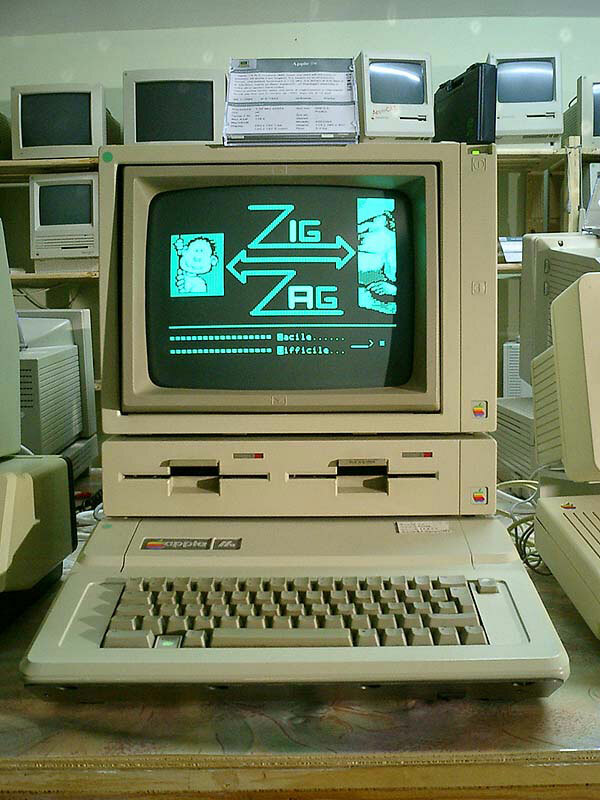 in the following video, the guy shows BASIC programing language using Apple II.